Why yes, I am still obsessed with How Sweet It Is‘s blog. Admittedly, I haven’t been too keen on the last few recipes she’s posted, but thankfully there are several years worth of past recipes to go through! Lucky me, and therefore lucky you. 😉 For Thursday’s dinner (yes, I know it’s Saturday, but I’ve been busy), I made sweet and spicy beef with noodles. It was yummy! This meal provided enough for my husband and I’s dinner, plus leftovers for two lunches. I used angel hair pasta, as I could not find capellini. Additionally, I used the full box, however the recipe only calls for half a box…which is probably why there was so much leftover, haha. Also, I did not de-seed my chili pepper, therefore it was a bit too spicy for my husband, yet he still managed to finish his bowl. 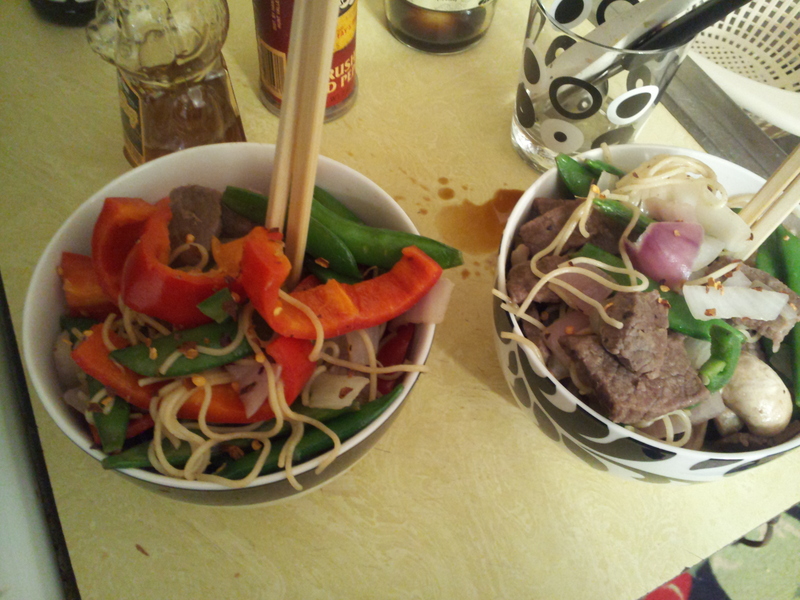 Funny story–he doesn’t like peppers and I don’t like mushrooms, so I carefully made sure to separate them into our own bowls, as you can see in the photo below. 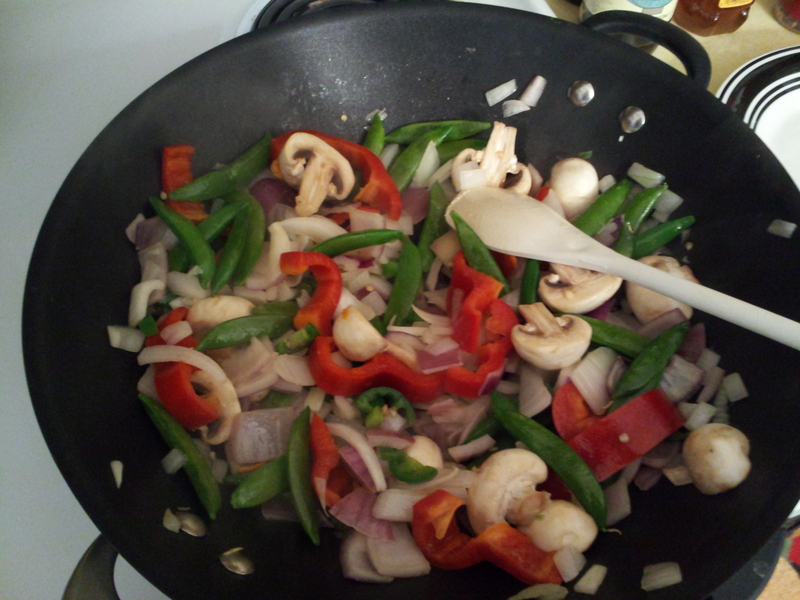 -Add in peas, mushrooms, and jalapeno, and cook for 3ish more mins, stir in garlic and cook for 30ish sec. Oh I am soooo maaaaking this! 😀 Looks delish!